In this review we feature the best high-end earbuds designed for audiophiles that can produce high quality sound with lifelike details and a stunning level of bass. These earbuds come with high-performance acoustic drivers that have very wide frequency response to capture the entire audio spectrum; they also come with multiple armature drivers to reproduce frequencies that you might not have heard with normal earbuds. Furthermore, these earbuds are fine-tuned to ensure that you get a smooth and natural sound signature without any coloration or artificial bass enhancements, so that you can hear the music exactly as the artist intended it to be heard. We also liked the fact that these earbuds are ergonomically designed for comfort and come with multiple ear tips, so that you can get the best fit inside your ears without any issues. Our experts have carefully tested each earbud to determine which ones provide the best value for money and high-end sound performance. If you are looking for some of the best high-end earbuds for audiophiles for an immersive sound experience, be sure to check out our top picks below! The Shure SE846-CL Sound isolating earbuds is one of the best high-end earbuds we have ever tested. The bass on these beasts are rock solid deep. These earbuds feature quad hi-definition micro-drivers for extended high-end clarity and unparalleled low-end performance and adjustable sound signatures via changeable nozzle inserts and removable metal nozzles. It also comes with a patented earphone design with ground-breaking low-pass filter which provides incredibly deep low-end performance of a true subwoofer without sacrificing clarity or detail. It also has incredibly low impedance due to a dedicated built-in amplifier which pushes the 4 drivers very well – using an ipod, iphone or anything with a quality internal dac is really all you need for a superb sound experience. If you are looking for one of the best high-end earbuds that can deliver audiophile-grade sound, the Shure SE846-CL is definitely the one you should get. The sound experience from the SE846-CLs is unreal, magical, and pure bliss. The soundstage and layering of these in-ear monitors is unbelievable – the spatial soundstage here is unreal – it’s difficult to describe how large and spacious it is. There is so much open airness to these and again the layer and separation is excellent. They are incredibly balanced, crystal clear treble, perfectly present mids and the bass. The bass here is deep, very detailed, and punches deeply when the song calls for it. Not a detail is missed with these earbuds, nothing is rolled off, nothing is overemphasized. Even at low volumes these earbuds project an insane amount – this may just be the first flawless sounding earbuds we ever tested. Furthermore, the sub-bass is incredible in these amazing in-ear monitors. These earbuds simply take things down to another level with the low frequencies it can reach. The bass is there and not overwhelming and the highs are crisp and clear. The very low impedance of only 9 ohms also makes these drivable by mobile devices and get good volume without having to turn it up all the way. The design and build quality of the SE846-CLs are rock solid. There is no weak part to these earbuds. They fit over your ear with memory wire and seal tightly in your ear canal with the included rubber tips for robust sound isolation. There is no disruption from outside noise at all and with the music playing you literally cannot hear anything – the sound isolation is stunning. These earbuds also come with three nozel inserts – bright (slightly geared towards higher frequencies), neutral (balanced)and warm (slightly geared toward lower frequencies). Shure provides very detailed instructions on how to change these nozel inserts. Comfort-wise, these earbuds are very comfortable and stay in your ears – there is no pain or discomfort caused by them. You can wear them for hours without any issues. That said, these are large in-ear monitors and noticeably larger as compared to the SE535s. We were comfortable with wearing these for extended periods although these are not the type you’d take on a walk or jog in the park. The Verdict? Apart from being the most expensive earbuds we have reviewed to date, the SE846-CLs are undoubtedly one of the best high-end earbuds and well worth the money if you love your music and are thoroughly dedicated about your earbuds. The bass on these earbuds are the among the deepest, punchiest and most powerful we have ever heard in a earphone. They are incredibly portable and easily driven by your mobile devices. We cannot image anyone not being thrilled with these earbuds; if you are willing to make a serious investment in audiophile technology, the SE846s are definitely one of the best high-end earbuds you can find. The Sennheiser IE 800s are one of the best high-end earbuds and essentially for audiophiles who want and demand excellent sound quality and are willing to pay for it. These are by far one of the finest (if not the finest) in-ear monitors we have tested. In our view, these IEMs are well the price given their phenomenal imaging, outstanding sonic resolution and superior noise isolation. They are precise yet musical. They are vastly open and three-dimensional, but naturally and musically so. These have now become the IEM standard for any music indication, including noisy airplane travel. Overall, the IE 800s are hands down some of the best high-end earbuds for serious audiophiles looking for quality sound performance, and we highly recommend them. The IE800s boasts an impressive list of audiophile specifications that make these one of the best bass earbuds in the world. It features a dynamic linear-phase 7mm transducer for an extremely wide frequency response. The precision ceramic housing features attenuated dual-chamber absorber (D2CA) to deliver extremely low harmonic distortion even at high output levels. It has an ergonomic, oval-shaped sear adaptors for maximum comfort, and has a 16-ohm impedance level which compliments most portable audio devices including your iphone. It uses a 1.1m symmetrical, oxygen-free copper cable for the best transmission possible. They are essentially “open ear” in ear monitors, as opposed to most/all other IEMs we have tested, which have a closed-ear design. This improves imaging characteristics because the speakers are not projecting into a closed cavity where air has nowhere to move. Looking at the open-ear design, we were initially concerned that noise isolation would be compromised and that these would not be suitable for airplane travel. We can confirm that this is not the case. Noise isolation is quite excellent. There is no area of weakness. Bass is rock solid and deep, midrange is very involving and the treble is smooth and extended. You hear many more nuances in the recordings driven from iPhone 5 or MacBook Pro 13 inch retina late 2013 model. The beginning of We Belong (Pat Benetar) actually startled us with it’s dynamics and clarity. Other tracks were from All the Little Lights by Passenger, Mary Chapin Carpenter, and HD music including Ben Howard (Linn Records), Paper Tiger from Beck or Rebecca Pigeon. All were wonderful with super detail and separation of all the instruments instead of the jumbled mess one often encounters. The soundstage on the IE800 is phenomenal, far better than any other IEM we have tested, and better than most headphones as well. The soundstage on these is similar in characteristics to the Sennheiser HD800. Though the latter (open ear headphones) are obviously superior, the IE800’s are similarly expensive and discrete. The soundstage is 3-dimensional, though obviously not as realistic as the HD800. The sonic resolution on these is also outstanding. You will hear details (such as musician’s breathing, swallowing, fingernails on keyboard, etc.) that you have not heard before. It is vastly superior to any other IEM’s we have auditioned or tested. The Verdict? The Sennheiser IE800s are one of the best high-end earbuds that provide crystal clear sound performance and distortion-free sound. These are extremely well made, and you will immediately perceive the care and love that went into crafting these IEMs. They are not only one of the best bass earbuds, but one of the best audiophile earbuds ever made and available on the market. The quality shows from the outside packaging all the way into the box and into the IEM’s themselves. Simply put, the Sennheisers are in a class of their own and you can tell that in the first ten seconds of listening to these high-end earbuds. The ER3SE Studio edition earbuds are some of the best high-end earbuds designed to deliver accurate studio-grade sound performance. These earbuds come with precision machined metal bodies with high performance balanced armature micro-drivers that provide crisp highs, detailed midranges and smooth deep bass performance. These earbuds are designed with a wide frequency response for you to pick up virtually every single detail in the music without any difficulty. These earbuds also come with a 4ft reinforced detachable cable with 3.5mm gold plated stereo plugs and MMCX connectors. It also comes with assorted ear tips for 35-42dB of external noise isolation and 120dB max output. The ER3 series earbuds are tuned to extremely tight tolerance specs for accurate and high-end sound reproduction, and are some of the best in-ear headphones that are suitable for studio monitoring or casual listening. If you are looking for some of the best high-end earbuds that are small and can produce spacious and studio-grade sound quality, the ER3SE earbuds come highly recommended. The sound signature of the ER3SE earbuds is best described as neutral with a more flat sound signature that emphasizes the highs and treble ranges. The sound performance of these earbuds is much better than what we expected from earbuds of this size – the mid and high frequencies are very clear without any harshness, and the bass it not boomy or muddy. The earbuds provide studio-like sound with excellent soundstage – the sound feels spacious and very well-defined. The highs and timbre ranges are crisp and crystal clear, and vocal performances sound lifelike and realistic. What really stands out with the ER3SE earbuds is the level of spaciousness that the sound has – it really feels as though you are sitting in a real life concert while listening to these earbuds. Instrumental and orchestra music sounded especially good through these earbuds – you can potentially pick up details in the music which you may not have noticed before, and it has a wide frequency and fast response. The only downside to the ER3SE is that they are somewhat lacking in bass response, although this is to be expected from a set of audiophile-grade earbuds designed for studio monitoring. In terms of design, the ER3SE are hands down some of the most comfortable earbuds we have tested. They are designed for accurate sound reproduction and studio-grade accuracy, with sleek and precision machined metal bodies. The earbuds uses balanced armature drivers which are tuned to produce music exactly as the artist intended it to sound. The earbuds are designed for proper insertion – they have superb sound quality and full bass response which are easy to insert within the ear canal. The ER3SE have detachable reinforced 4 feet cables with 3.5mm gold plated stereo plugs and MMCX connectors for versatile connection options. To attach the cables, you simply need to align the key tab on the cable connector with the notch in the body of the earphone. The earbuds are relatively lightweight and practically ‘disappear’ when worn inside of the ears. On the whole, the ER3SE are some of the best earbuds with a comfortable design that provides studio-grade listening experiences. The Verdict? The ER3SE studio earbuds are some of the best high-end earbuds designed for accurate and studio-grade sound reproduction. These earbuds are very comfortable to wear and come with precision machined metal bodies with high-performance balanced armature micro-drivers that provide crystal clear highs and treble ranges. The sound quality that you get from these earbuds is top-notch and crystal clear – vocal performances sound refined, while the highs and midranges are sharp and clear. We did not hear any distortion on these earbuds when the volume is cranked up the maximum levels. Furthermore, the ER3SE comes with a 4ft reinforced detachable cable with 3.5mm gold plated stereo plugs and MMCX connectors for easy setup. It also comes with assorted ear tips for 35 – 42 dB of external noise isolation. These earbuds are built for studio-grade sound performance and professional monitoring, and will play music exactly as the artist intended it to be heard. 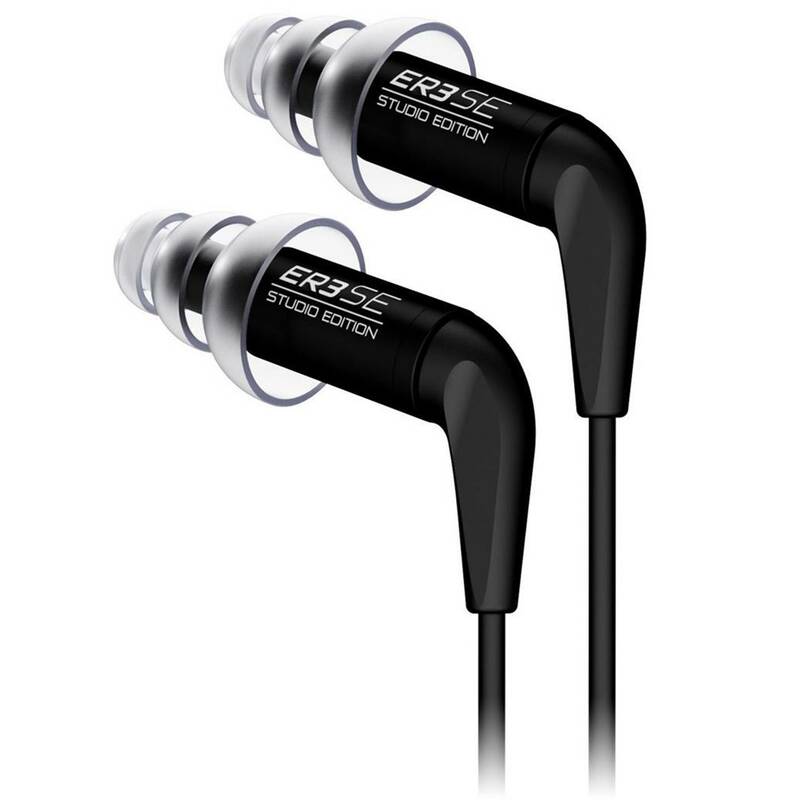 If you are looking for some of the best high-end earbuds that can provide professional studio-grade sound, the ER3SE earbuds are a great choice. The AUKEY B80 are some of the best high-end earbuds designed for high resolution audio with a sleek and modern design. The B80 earbuds are designed to produce high-resolution audio and comes with a hybrid driver system designed for discerning audiophiles who want to listen to every single detail in the music. Furthermore, the AUKEY B80 earbuds come with a wide variety of features including Bluetooth 5.0, apt-X low-latency music transmission, USB-C charging, water resistant and voice control assistant support. The B80 earbuds feature a dual driver design which are precisely tuned and balanced for richer and purer sound output. The earbuds have a wide frequency response from 10 Hz to 22 kHz and provide full, warm lows and mids with crisp and natural highs. We also liked the fact that the B80 earbuds features a USB Type-C port for recharging and up to 8 hours of continuous music playtime on a single charge. We also liked the fact that the manufacturer provided 3 pairs of foam tips and 3 pairs of silicone ear tips to choose from to get the perfect fit. If you are looking for some of the best high-end earbuds with a really sleek design and great sound, don’t forget to check out the AUKEY B80 earbuds. We were very impressed by the sound performance of the AUKEY B80 earbuds. These earbuds deliver great sound performance, with deep bass, clear midranges and crisp highs. They can play a wide variety of music genres from rock, EDM to hip-hop without any issues, and produce crystal clear sound with great attention to detail. The bass output on the B80 earbuds is also decent, and it adds a good punch to the overall music quality. Vocal performances sounded crisp and lifelike, and instrumental music was reproduced with a good level of separation and detail. You can literally pick up where each note is coming from while listening to the B80 earbuds. The bass output on these earbuds is good and not muddy; it does not muddy into the midrange frequencies or sound overwhelming. The sound signature of the AUKEY B80 earbuds is best described as well-balanced with an emphasis on the lower-midrange frequencies. The B80 earbuds provide a pure listening experience with premium memory foam ear-tips for better noise isolation. The AUKEY B80 earbuds are very lightweight and come with a sleek and unique design which makes them very comfortable to wear. We liked the fact that these earbuds support wireless Bluetooth streaming, which means that you can stream music directly from your smartphone device to these earbuds. The B80s come with a unique hybrid driver system that is tuned to provide full-range sound performance with crystal clear highs and warm lows. The B80s have a wide frequency response from 10 Hz to 22 kHz, and can reproduce the details in the music very well. Apart from the wireless Bluetooth, the B80 earbuds support apt-X low latency and USB-C charging. It can provide up to 8 hours of continuous music playtime on a single charge and charges relatively quickly with the USB-C port. The earbuds are comfortable to wear with an ergonomic design, and also come with three sizes of memory foam ear tips and soft silicone ear-tips for you to choose from. The entire package comes with the earbuds, memory foam and ear tip sets, USB C cable, carrying pouch and user manual for easy reference. The Verdict? The AUKEY B80 earbuds are some of the best high-end earbuds that provide high-resolution audio with a sleek and modern design. We particularly liked the fact that the B80 earbuds come with multiple features including Bluetooth streaming, aptX codec and USB-C charging. It also has a very long battery life of up to 8 hours of continuous music playtime on a single charge. The B80s have a dual driver design that provides crystal clear highs and detailed midranges for a wide variety of music genres. The dual drivers allow you to pick up vocal performances as well as detailed sound effects and music instruments that you might not pick up with a single driver earbud. Furthermore, the B80 features a stable over-ear hooks which provide a comfortable fit and convenient cable routing. We also liked the fact that the manufacturer provided three sizes of memory foam and soft silicone ear tips for a smooth fit inside your ears. The earbuds are very comfortable to wear, and produce crystal clear sound performance that enhances your overall listening experience. If you are looking for some of the best high-end earbuds that deliver good value for money, the AUKEY B80s are a great choice. The Symphonized NRG 3.0 are some of the best high-end earbuds made of handcrafted genuine wood that provide sweet and crisp sound performance. These earbuds are designed to produce crisp and powerful acoustics with deep bass response and enhance the natural acoustical qualifies in wood. The earbuds are capable of delivering studio-tuned premium sound quality with crystal clear immersive audio. We also liked the fact that the Symphonized earbuds come with custom silicone ear tips available in three different sizes to choose from; the earbuds provide good sound isolation and reduces ambient background noises for long-term wearing. The earbuds come with volume control, pause/play capabilities and answer/end call functionality with voice control. It also has a smart in-line microphone which allows you to take hands free calls. The Symphonized earbuds are compatible with virtually all iOS and android phone devices with its standard 3.5mm audio input jack. Overall, the Symphonized NRG 3.0 are some of the best high-end earbuds that we have come across and highly recommend them. Compared to other earbuds, the Symphonized NRG 3.0 are capable of producing loud volume levels without any distortion and have a sweet and crisp sound signature. The Symphonized also delivers great musical bass sounds, and bring out the best in music genres such as classical and instrumental music. We liked the fact that the NRG earbuds have a good degree of soundstage and stereo separation and is able to reproduce the finer details in the music. It has an overall warm sound signature that feels refined and spacious. The bass on the Symphonized NRG earbuds hits hard and sounds punchy, and adds a layer of warmth and depth to the music. While these earbuds do not produce audiophile-grade sound, they do really well for instrumental and classical genres with very detailed sound reproduction. 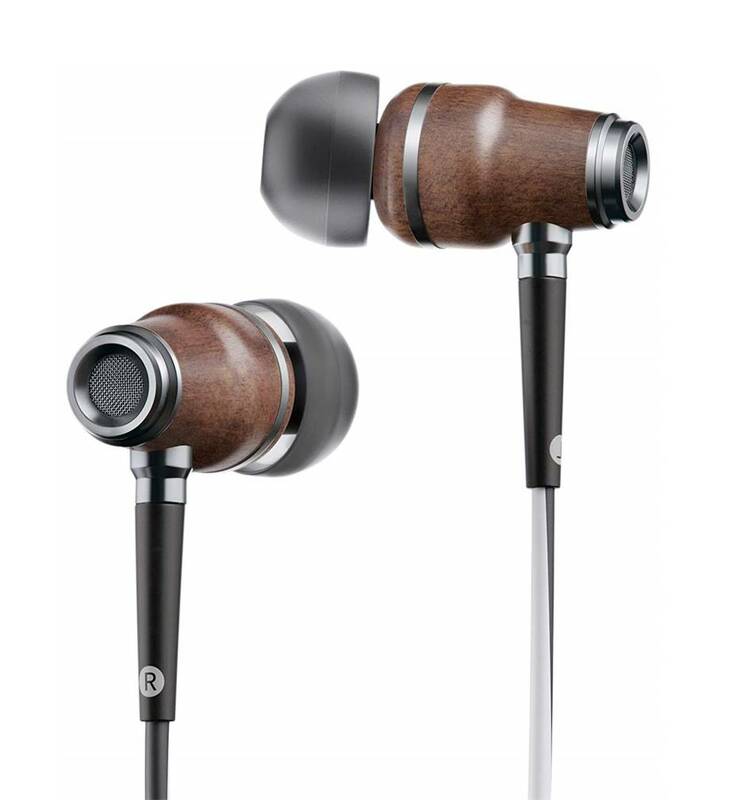 The Symphonized NRG 3.0 are very comfortable and aesthetically appealing earbuds with a natural wood design. We really liked the wood design which feels very smooth and nice to touch. The natural wood also has acoustical qualifies which helps provide a more mellow and smooth sound signature. The earphones come with custom silicone ear tips that are available in three sizes which is great. The NRG earbuds uses a standard 3.5mm audio jack to connect to music devices and comes with a fashionable dual toned tangle-free TPE cable. These earbuds are relatively lightweight and easy to carry around, and can be put inside your pocket while not in use. The Verdict? The Symphonized NRG 3.0s are some of the best high-end earbuds designed to provide natural sound performance with good tonal clarity. It comes with an aesthetically pleasing wood-grain finish that provides a sleek appearance while adding a natural bass response. The sound signature on the NRG earbuds is more bass-leaning and mellow in tone, and it brings out the lower frequency ranges well. The earbuds have an ergonomic design and come with multiple eartips of different sizes to choose from for a comfortable fit. It has dual toned TPE cables which help to prevent tangling. The NRG earbuds also support voice control and a smart inline microphone which allows you to take hands free calls on the go. The earbuds use a standard 3.5mm audio input jack to connect to your mobile device or mp3 player. On the whole, the Symphonized NRG 3.0 are some of the best high-end earbuds with an aesthetically appealing wood finish and are worth checking out. The 1MORE Triple Driver are some of the best high-end earbuds that have been tuned by Grammy award winning sound engineer Luca Bignardi. These powerful in-ear headphones use two balanced armatures for a dynamic range of sound and a separate driver for deep bass reproduction. The 1MORE in-ear headphones are THX certified and are capable of delivering crystal clear sound with good sonic imaging. These speakers deliver crisp highs, warm mids and deep bass for your listening pleasure and sound great across a spectrum of music genres. The aluminium body is durable and superior MEMS microphone has independently set wires to eliminate cross talk and background static. These in-ear headphones are built with a slight curve to be set ergonomically set into your ear and it comes with 3 sets of silicone ear tips and 3 sets of memory foam tips for you to choose from. We liked the fact that the manufacturers also include a traveling case, a dual prong airline adapter and a shirt clip. Overall, the 1MORE Triple Driver are some of the best high-end earbuds we have tested in terms of sound performance and they come highly recommended. The 1MORE Triple Driver in-ear headphones are a set of excellent THX certified headphones that provide a well bodied sound experience. These earbuds are built with three drivers for optimal performance, and provide crystal clear highs, detailed midranges and deep bass performance. The triple driver technology ensures that you get full-range sound performance and you can pick up every single detail in the music with great clarity. This means that you get the most out of your songs whether you listen to the classic rock of the 70s or Modern EDM. We thoroughly enjoyed listening to these earphones and they provide a solid level of detail from the dynamic drivers. The two balanced armatures provide balanced crisp sound quality with detailed highs and smooth timbre ranges at any volume level. We liked the fact that you can crank up the volume on the 1MORE in-ear headphones to maximum without hearing any distortion. The earphones have good sonic imaging and separation which allows you to pick up details in the music that you might not have noticed before, which is definitely an added plus. 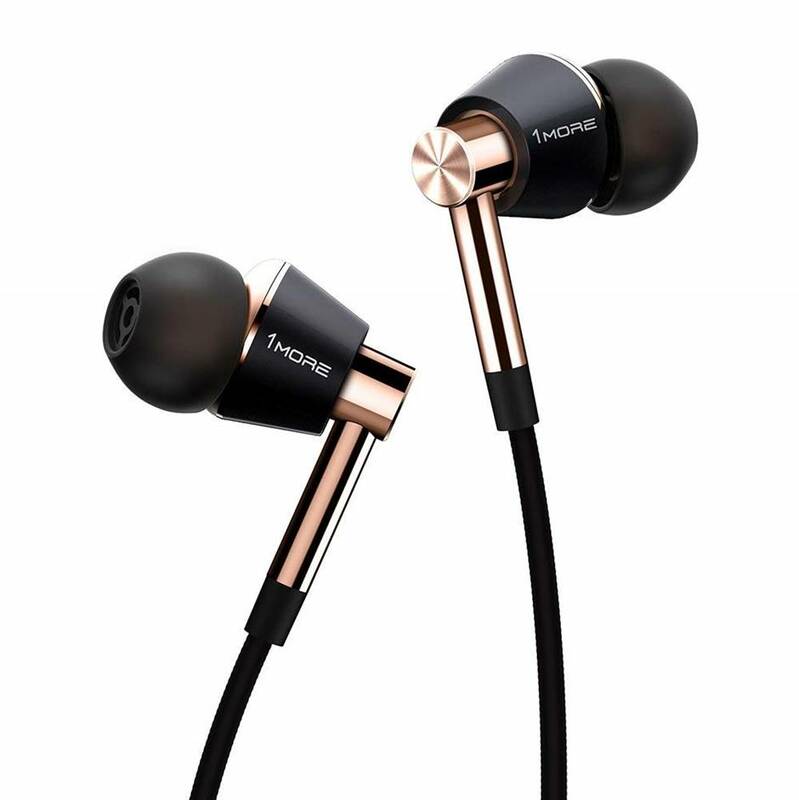 The 1MORE Triple Driver in-Ear headphones have a sleek and modern looking design, and feel very comfortable to wear. 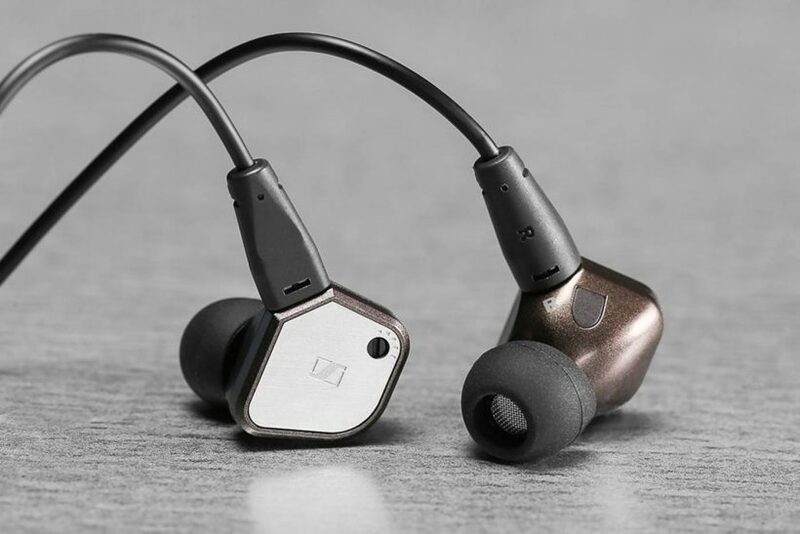 It is a unique in-ear headphone with three dynamic drivers which create a unique soundstage and full-range audio texture. They also come with a set of 3 silicon tips, 3 memory foam tips a magnetically clasping traveling case, a dual prong airline adapter and shirt clip. These comfortable earbuds are angled for the curve of your inner ear canal for a comfortable and ergonomic fit. The intelligent control technology allows you to control the volume, use voice commands or select songs. These in-ear headphones also feature a superior MEMS microphone that eliminates cross-talk and background static. The entire ear-tip is made of aluminium and the wire is enhanced with Kevlar fibre which provides enhanced durability. The Verdict? The 1MORE Triple Driver are some of the best high-end earbuds that provide dynamic and well-balanced sound performance. It produces THX certified sound through the triple drivers and create a solid mix of crisp highs, warm midranges and deep bass. Music performances sound exquisite through these in-ear headphones and they can handle a variety of music genres without any distortion. These earbuds are ergonomically shaped with their slight curve, and come with 3 sets of silicone tips and 3 memory foam tips. The intelligent controls allow for song skipping, volume control and taking calls. The superior MEMS microphone reduces background noise and eliminates cross-talk. 1MORE combines the durable wires and aluminium body for a tough exterior but lack any weather-resistant certifications. The range of sound is very detailed and it produces extended bass performance which keeps the beats tight and punchy. Overall, the 1MORE Triple Driver are some of the best high-end earbuds we have tested and we highly recommend them. The RHA MA750 are one of the best high-end earbuds built for dynamic clarity and crystal clear audio performance. These ear monitors provide superb clarity and balance with the RHA handmade 560 dynamic drivers and aerophonic 303F grade stainless steel housings. The RHA MA750 is capable of delivering CD like quality audio with aptX wireless streaming for high quality audio transmission. We liked the fact that the RHA MA75P ear monitors deliver 12 hours of continuous music playtime with 30 days standby time on a single battery charge. It also comes with a flexible SecureFlex neckband with an IPX4 rated sweat-proof and water-resistance design for gym or sports use. The in ear monitors also come with flexible over-ear hooks and a universal remote for compatibility with most audio devices. The RHA MA750 is designed to be lightweight and weighs a mere 41g, and come with durable stainless steel housings that are magnetized to fasten around the neck when not in use. On the whole, the RHA MA750 are some of the best high-end earbuds we have tried and we highly recommend them. The Verdict? The RHA MA750 are one of the best high-end earbuds with a very sleek and stunning stainless steel finish with very balanced sound performance. These in ear monitors are very comfortable to wear with over the ear hooks and long battery life that can provide up to 12 hours of continuous music playtime on a single charge. The wireless Bluetooth supports both AAC and aptX for high quality wireless music streaming, and the in-line remote is fully functional with both iPhone and android devices. The monitors are also equipped with an NFC pairing chip that allows it to pair within seconds to compatible mobile devices. 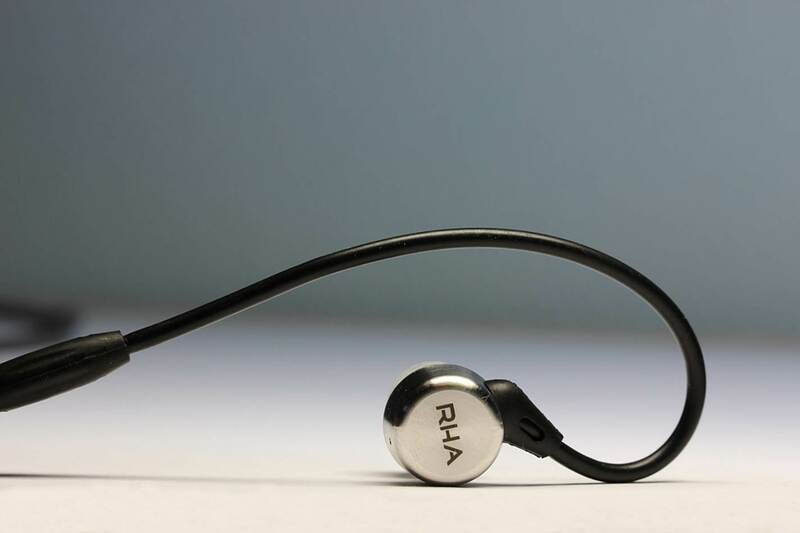 The RHA MA750 has a durable stainless steel housing which is magnetized to fasten around the neck while not in use. It also has a unique aerophonic housing design that provides great sound without any distortion and blocks out external noises. The MA750s are relatively lightweight and weigh a mere 41g. We liked the fact that the RHA SecureFlex cable is lightweight and conforms naturally to the shape your neck for lasting comfort. Overall, the RHA MA750 are some of the best high-end earbuds that provide balanced sound quality with a durable stainless steel construction. The Westone WX are among the best high-end earbuds that deliver high-resolution sound with great attention to detail. These in ear monitors are designed for music enthusiasts and can deliver rich sound quality exactly as the artists intended it to be heard. The Westone WX comes with a specially tuned single balanced-armature driver that provides detailed sound quality with Westone’s high-resolution Bluetooth cable for wireless music streaming. 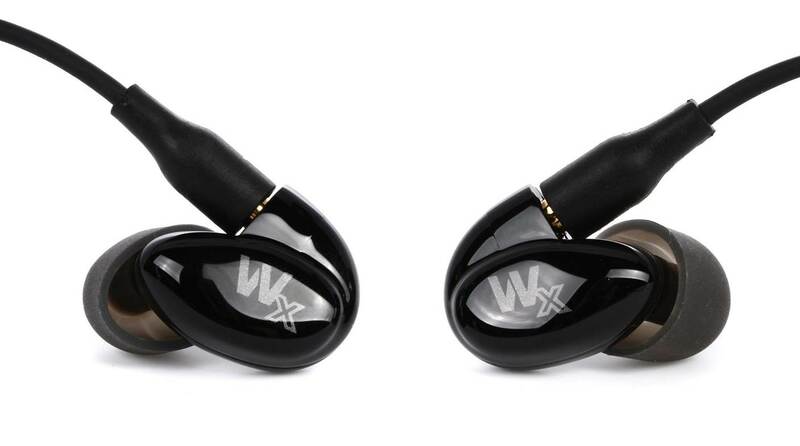 The single driver WX earphone delivers great sound clarity and detail with a wide frequency range for quiet listening. We liked the fact that the Westone WX has a low-profile and ergonomic design that makes it comfortable and easy to wear. It features Westone’s proprietary silicone and comfort-foam ear-tips which enhance the performance of the earphones by providing good sound isolation and a superb fit. The Westone WX in ear monitors uses Bluetooth 4.0 for high quality music streaming with aptX technology; it also comes with MMCX audio connectors that can be used with other music sources. The Westone WX in ear monitors also come with 5 pairs of silicone ear tips and 5 pairs of comfort-foam eartips which provide great comfort and sound quality. On the whole, the Westone WX are among the best high-end earbuds that provide crisp, well-defined and balanced sound and are definitely worth checking out. The Verdict? The Westone WX is one of the best high-end earbuds with a specially tuned single-balanced armature driver that can deliver an analytical sound signature. The acoustic driver provides a very neutral sound signature with great emphasis on detail and clarity – it can bring up the details in the music with a level of spaciousness and openness that enhances the overall music quality. 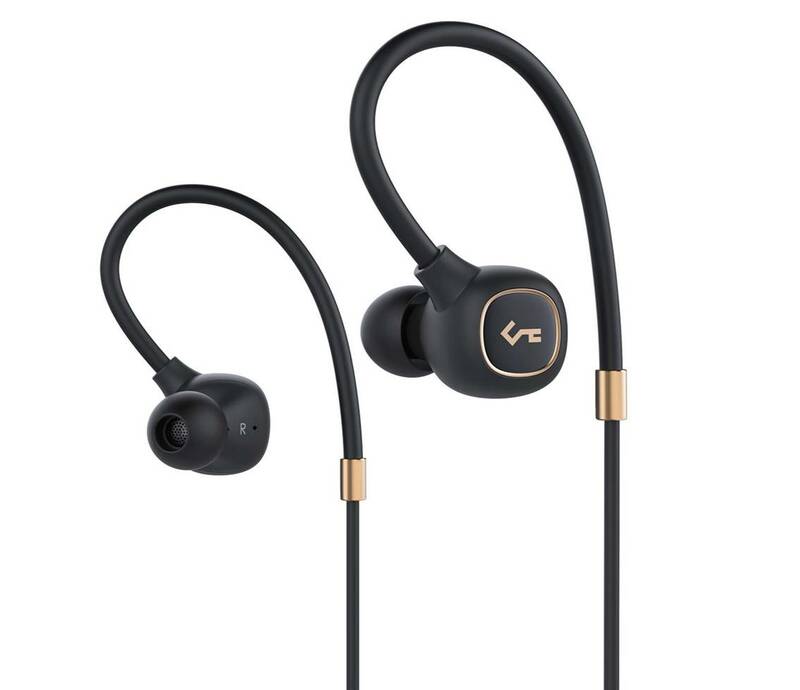 The Westone WX also comes with Bluetooth 4.0 for high quality wireless music streaming, and features MMCX audio connectors which works with all Westone custom-fit and true-fit earphones. We liked the fact that Westone provided several silicone and comfort-foam eartips of different sizes to choose from which provide a superb fit and better sound isolation. The WX delivers full-range sound performance and has a wide frequency response between 20 Hz to 16 kHz with an impedance of 19 ohms. It also has a built-in battery that delivers up to 8 hours of continuous music playtime on a single charge and has a wireless range of 32 feet. Overall, we thoroughly enjoyed the sound performance of the Westone WX wireless in ear monitors and we highly recommend them. The B&O BeoPlay E6 are some of the best high-end earbuds that provide a rich wireless sound experience with great tonal depth and clarity. The E6 ear monitors are finely tuned by B&O sound engineers to deliver pristine audio performance with strong bass response – it has B&O signature sound in a compact package. The E6 provides a secure custom fit with a choice of comfortable ear-tips to ensure that you get the best ergonomic custom fit with great comfort. The E6 monitors have a very sleek and modern looking design and are crafted from high-quality aluminium and rubber materials with a durable splash resistant design. The E6 in ear monitors are built with 5 hours of battery life and have the ability to charge while in use. It also has a unique magnetic earphone click that allows you to secure them comfortably around your neck when not in use. The E6 wireless in ear monitors are designed for comfort, style and performance and the manufacturers also provide a choice of silicone earbuds to choose from for an ergonomic custom fit. 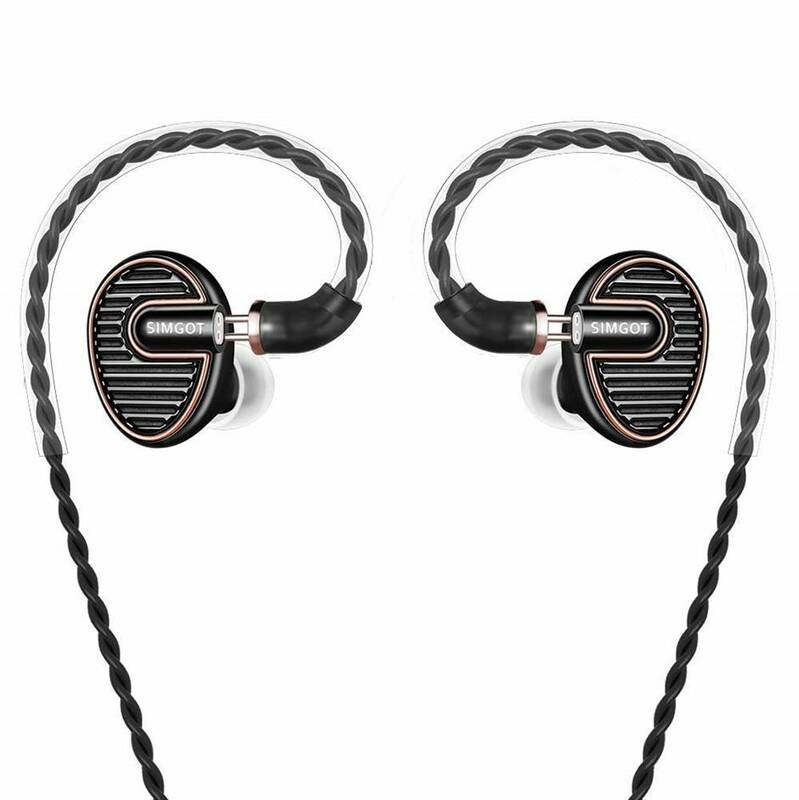 If you are looking for luxurious high-end wireless in ear monitors, the B&O E6 could be your best bet. The Verdict? The B&O E6 is one of the best high-end earbuds designed for those who want B&O signature sound in a sleek and lightweight wireless design. The E6 comes with a 6.4mm dynamic speaker driver and a Bluetooth chip with digital signal processing technology to deliver crisp highs, detailed midranges and good bass response. Compared to other in ear monitors that we have tested, the B&O E6 provides a much more V-shaped sound signature with an emphasis on the highs and lower midrange frequencies – this provides extra-punch for bass heavy music genres such as electronic dance music and rock and pop. We liked the fact that the B&O E6 comes with a set of silicone earbuds for an ergonomic custom fit and is crafted from high-quality materials for a comfortable and exquisite appearance. The cord connecting to the in ear monitors is encased in a durable easy to clean braided textile structure that protects against wear and tear. It also comes with a built-in battery that provides 5 hours of continuous music playtime on a single charge while streaming music wirelessly. Overall, the B&O E6 are some of the best high-end earbuds that can deliver hours of pristine sound quality with a comfortable ergonomic design and we definitely recommend them if you are looking for high-quality comfortable in ear monitors. The Shure SE215-CL is one of the best high-end earbuds that provides crystal clear sound with deep bass performance. It has a unique clear and transparent design which allows you to see the built-in armature driver and the electrical components which is really cool. The monitors feature a sound isolating design featuring fit kit with a variety of sleeves for custom fit and blocks up to 37 dB of outside noises for an immersive listening experience. The monitors allow you to easily transition between iOS and android devices with 3.5mm connection in one switch. It also has an inline remote and microphone which offers controls for phone calls, voice commands and operational control of volume and music playback. The Shure SE215-CL uses an over-the-ear design which ensures that the in-ear monitors stay securely in place and provide long lasting comfort without any fatigue. These ear monitors also come with a zippered carrying case and fit kit with a selection of sleeves for a personalized fit. The armature driver on the SE215-CL has a frequency response between 22 Hz to 17.5 kHz and is tuned to provide deeper extended bass notes. Overall, it’s one of the best high-end earbuds we have tested and we highly recommend them. The sound quality from the Shure SE215-CL is clear, distinct and sharp. We found that these in-ear monitors are capable of producing frequencies and sound ranges that are traditionally omitted with most IEMs – it has a phenomenal frequency range between 22 Hz to 17.5 kHz. The SE215-CL produces high-end sound performance that distils every single detail in the music with great accuracy. The soundstage coming from these in ear monitors is neutral and has decent bass response. The highs and midranges are crisp and clear, and these in ear monitors can produce great sound at both ends of the spectrum without any muddiness. The midranges and lower-frequency ranges are meticulously distinguished, and there is a good “openness” to the sound quality that lets you appreciate subtle details such as the keystroke of a piano or after-tone of the guitar. In short, the SE215-CLs are capable of reproducing music quality exactly as the artist intended it to be heard, provided that you use high-quality audio sources for these in ear monitors. We also tested the microphone quality on these monitors and it works like a charm for answering phone calls. In terms of sound quality, the SE215-CL are well-balanced and almost tonally perfect in ear monitors that brings out the details in the music without sounding artificial. The Verdict? The Shure SE215-CLs are some of the best high-end earbuds built for audiophiles. They can provide really crisp and neutral sounding music with a deep emphasis on the highs and vocal performances. It has a phenomenal frequency range of 22 Hz to 17.5 kHz and can even pick up details in the music which you might not have noticed before. While the sound may not measure up to higher-end Shure in-ear monitors, they deliver really good value for money at this price point and can distil down the details in the music with pristine accuracy. We also liked the fact that the Shure SE215-CLs come with comfortable sound isolating sleeves which block up to 37 dB of ambient background noises. It also comes with a detachable cable for multiple connectivity options and leaves open the possibility for component upgrades. There are also Bluetooth versions of the Shure SE215-CL that are available. If you are an audiophile or professional musician looking for one of the best high-end earbuds to get for listening to music, we highly recommend the Shure SE215-CLs. 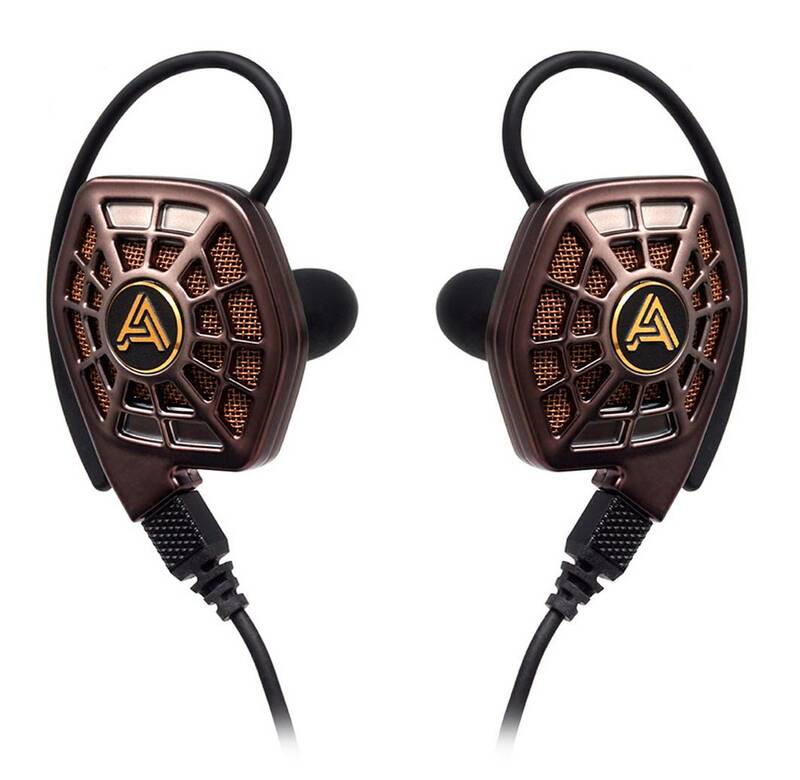 The Audio-Technica ATH-LS50 is one of the best high-end earbuds that are highly versatile and portable. It comes with an exclusive 8.8mm tuned dual symphonic drivers that are comprised of two drivers serially situated within each driver housing that generate balanced sound and reduced distortion at high volume levels. The bass on the ATH-LS50 monitors is strong and well-articulated without any muddiness. The drivers are constructed of solid stainless steel and high-durability resin which provides improved high-frequency sound reproduction. 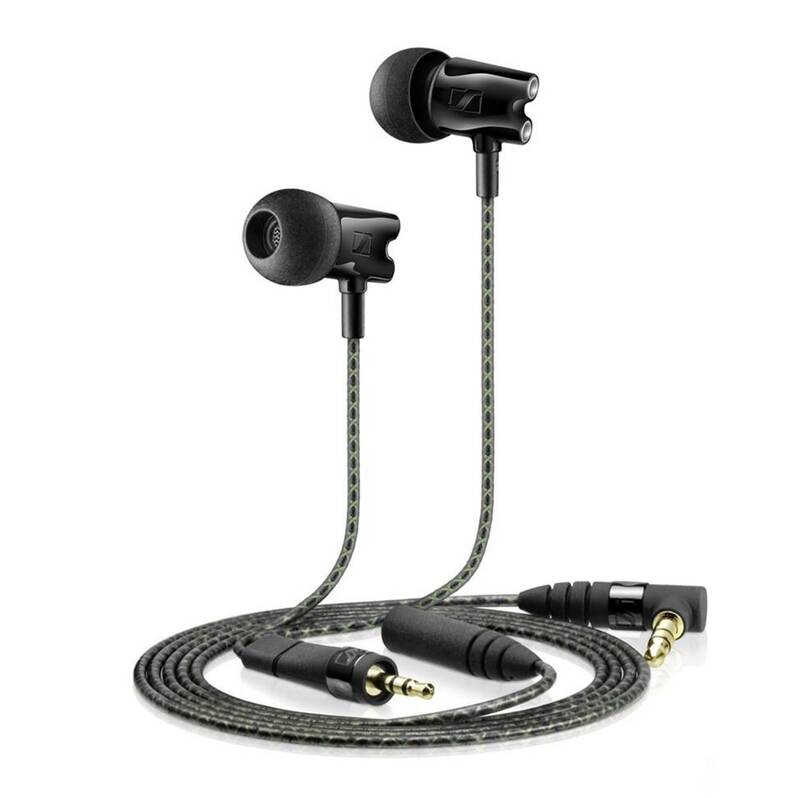 It also features flexible memory cable loop that goes over the ear for custom fit and long-wearing comfort – it has a maximum input power of 200 mW and an impedance of 11.5 ohms. We liked the fact that the ATH-LS60 comes with a detachable 1.2m cable with newly developed A2DC (audio designed detachable coaxial) connectors at the headphones which offer greater durability and optimized audio performance. It also comes with in-line controls with microphone for hands free calls and audio playback. If you are looking for one of the best high-end earbuds that can deliver the versatility and sound quality intended for reference monitors, the ATH-LS50 comes highly recommended. The ATH-LS50 generates balanced sound quality with reduced distortion and strong articulated bass. These IEMs have very accurate frequency response and can reproduce the entire audio spectrum without any issues or harshness. We were pleasantly surprised by the deep rich bass which the ATH-LS50 could produce without being artificially colored. Music and instrumental performances sounded lifelike with a good deal of soundstage and separation – you can hear the individual beats and details in the music without any artificial enhancements or coloration in the tone. The tonal balance on this IEM is pretty accurate and it gets the frequency ranges right without any muddiness. Vocal performances sounded sharp and detailed without any harshness at loud volume levels; the timbre ranges are crisp and very focused. The ATH-LS50 are sensitivity to the original sound recording and can really pick apart the details in the music with great efficiency. It has a good depth of sound that moves away from the tinny sound of many other earbuds and supplies great depth to them. We also liked the fact that the ATH-LS50 earbuds are sensitive to EQ changes and you can adjust the sound quality according to your preference preferences. The 8.8mm lived tuned dual symphonic drivers are well-balanced and can produce plenty of volume output without any distortion which is great. The Verdict? 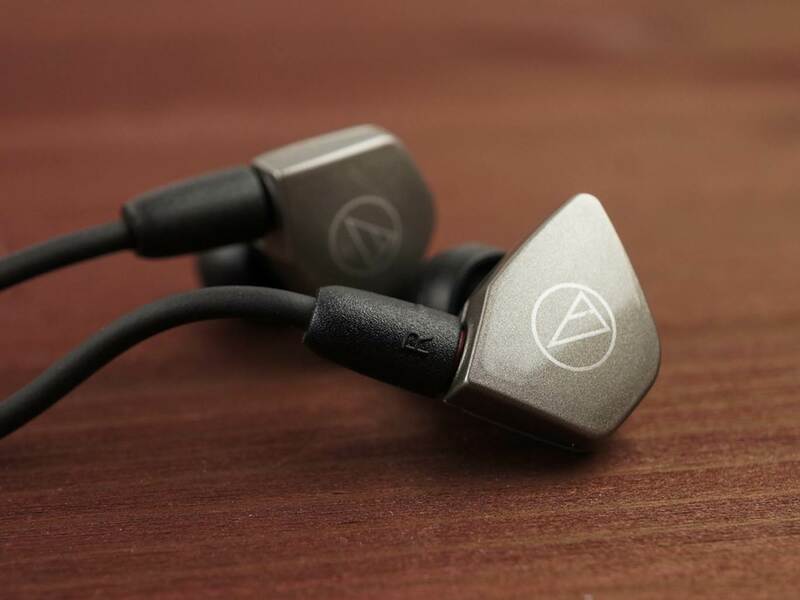 The ATH-LS50 are some of the best high-end earbuds that provide really clear and accurate sound performance. It comes with live tuned dual symphonic drivers that can produce crystal clear sound with reduced distortion and strong articulated bass response. These IEMs have great form and function and you can tell that the manufacturers put in a lot of effort to get the ergonomic shape of the earbuds right – they are very comfortable to wear and rest perfectly in the ear without causing any fatigue. Furthermore, these IEMs come with detachable 1.2m cable with audio designed detachable coaxial connectors at the headphones which provides exceptional durability and optimization. The cable also comes with in-line controls which allow you to adjust the volume and music soundtracks on the go. If you are looking for one of the best high-end earbuds that can provide high-end sound performance with great versatility and comfort, the ATH-LS50 is a great choice. The Audeze iSINE20 is one of the best high-end earbuds that delivers exceptionally high quality sound with its innovative planar magnetic drivers. These earbuds are semi-open, in-ear earbuds that provide superb high-end sound performance with very good soundstage and audio separation. These earbuds allow you to hear music exactly the way the artist intended it to be heard, with exceptional clarity throughout the entire frequency range with deep accurate bass and clean treble ranges. We also liked the fact that you can use the Audeze iOS app to boost or elevate the midranges in real time, featuring a 10-band equalizer and two presets – these settings are stored with the cable. Furthermore, the iSINE20 earbuds feature a very unique and sleek looking design with cipher cable and a standard 3.5mm cable for compatibility with most audio devices. If you are looking for one of the best high-end earbuds that can really bring out the quality of your music, the Audeze iSINE20 is definitely a great choice. The sound performance of the iSINE20 is extremely detailed and pristine, with crystal clear highs, detailed midranges and surprisingly good amount of bass. These earbuds come with a voice-coil that covers the ultra-thin diaphragm to enable better control and responsiveness. It also comes with an included lightning cable with DSP for virtually zero sound distortion. The Audeze earbuds provide great soundstage with good sensation of music surrounding your ears – you can feel the distance, depth and separation between the various instruments and sound sources. They are capable of detailed subtlety, projecting sounds through a distance that provides a spatial imaging of the sound recording. We also liked the fact that you can really crank up the volume on these earbuds without hearing any distortion – everything sounds full and high-end across all frequency ranges. The iSINE20 earbuds features a hybrid design that delivers a soundstage similar to a holographic projection around you head, allowing you to hear the direction where each note is originating from. Despite the fact that these earbuds are semi-open, they do provide relatively good sound isolation and block out ambient noises from interfering with your listening experience. The design of these earbuds are stunning and aesthetically appealing – it features two planar magnetic earbuds with very thin diaphragms for consistent electronic magnetic sound distribution. The earbuds come with fluxor magnets with 2x the efficiency of other magnets, giving these earbuds more dynamic impact in their overall sound signature. The Verdict? The iSINE20 earbuds are some of the best high-end earbuds available for audiophiles who want to hear every single detail in the music exactly as the artist intended it to be heard. The earbuds are built to deliver exceptional clarity throughout the entire frequency spectrum, with crystal clear highs, detailed midranges and stunning bass performance. The sound quality of these earbuds is best described as dynamic, spacious and immersive. It comes with planar magnetic drivers which provide consistent sound quality at all volume levels without any distortion. We also liked the fact that these earbuds come with the Audeze iOS app which boosts or elevates mid-range performance in real time, and features a 10 band equalizer and two savable presets that allow you to listen to any music genre according to your preferences. If you are looking for some of the best high-end earbuds that will really make a difference to your audiophile listening experience, the Audeze iSINE20 earbuds come highly recommended. The iSINE planar magnetic earbuds are some of the best high-end earbuds designed to produce high-end sound performance with maximum clarity and planar magnetic technology. These earbuds are built for maximum clarity, allowing you to hear every single beat in the music with detailed clarity and timbre ranges. These in ear headphones are built using Audeze proprietary technology which delivers vivid sound, deep bass and balanced treble response. Furthermore, the modern design of the iSINE earbuds is durable and fits ergonomically into your ears which make them comfortable to wear. These earbuds come with innovative 30mm planar magnetic drivers to provide lower distortion and better bass response to 20 Hz, and a much wider soundstage that other earbuds we have tested. We also liked the fact that the manufacturer provided a selection of ear hooks and ear tips, allowing you to customize the fit according to your personal preferences. If you are looking for the best high-end earbuds that can really deliver precise sound quality and stereo imaging, the iSINE planar magnetic earbuds come highly recommended. The sound quality of the iSINE earbuds is pristine, accurate and clear. The Audeze drivers use a very thin film to move air that produces sound – because the material has such a low mass, it moves extremely fast and gives much better transient response. This means that percussive sounds such as drums, acoustic guitars and popping strings on a bass note all sound much more accurate and lifelike. The frequency range on these earbuds are excellent – they can reproduce the highs, midranges and lows with very good accuracy and fast transient response. Listening to classical and instrumental music on these earbuds was an especially satisfying experience – you can virtually hear every single detail in the music with good clarity and feel as though you are sitting in a real life performance. We also liked the fact that you can crank up the volume on these earbuds to maximum and get virtually no distortion at all. The sound is exceptionally clear and detailed with deep and tight bass with a good level of soundstage. In terms of sound quality, we can safely say that these earbuds are on par with high-end headphones in terms of spaciousness and detail. The iSINE earbuds are made from high quality materials which speaks volumes about their quality and design. The earbuds use cutting-edge planar magnetic technology for more accurate sound, and reproduces music exactly as the artist intended it to be heard. The Audeze earbuds uses a near weightless diaphragm that is four times larger than typical headphones for faster response times and higher resolution with improved imaging. It also features uniforce voice-coil technology which delivers a uniform driving force across the entire diaphragm for near zero distortion. The earbuds also come with Fluxor magnet arrays which focus the magnetic flux and doubling the power for driving the diaphragm, while reducing soundwaves to avoid any resonance. We particularly liked the fact that the manufacturer provided a series of ear hooks and ear tips for easy comfort and secure fitting. The acoustic drivers on these earbuds provide really good sound performance and bass response down to 20 Hz, while maintain a wider soundstage that other in-ear headphones. The Verdict? The iSINE planar magnetic earbuds are some of the best high-end earbuds designed by Audeze that can deliver pristine accuracy and details. These earbuds are designed for maximum clarity and can reproduce details in the music which you might not have heard before. Furthermore, the iSINE earbuds are designed to be exceptionally durable, so you can keep listening to music for years with these earbuds without having to replace them. It comes with innovative 30mm planar magnetic drivers which provide lower distortion and better bass response, with a much wider soundstage for classical or instrumental music performances. The design of these in-ear headphones is also very unique, and it comes with cable connectors and accessories for you to choose from. The multiple sized ear-tips is also a nice added touch, and they are ergonomically shaped and comfortable to wear. Overall, the iSINE earbuds are some of the best high-end earbuds we have tested that provide superb high-end performance, and comes highly recommended for audiophiles. The Rovking in-ear earbuds are designed for sports and active lifestyle use, while providing superb sound performance. The Rovking headphones deliver crisp sound with crystal clear highs and extended bass performance, and have acoustic drivers that provide good tonal clarity. These compact in-ear headphones are ideal for small to average ears and are ergonomically designed to stay in regardless of how intense the workout or run. The Rovking headphones are constructed with sweatproof materials and have a lightweight build and soft ear loops to allow for a comfortable fit inside the ears. You can also take hands free calling with the standard mic and a volume controller that can skip tracks. The angled audio jack makes it easy to connect toy your favourite devices without fear of it coming out. On the whole, the Rovking are some of the best high-end earbuds for sports and gym use and we highly recommend them. The Rovking in-ear headphones deliver great sound quality and work well for sports and gym use. It comes with a noise-cancelling feature allows you to block all the distracting outside noise even from the loudest and busiest of roads or machinery. These Rovking headphones isolate your music so can feel the detail in every note – vocal performances sounded crisp and detailed, while classical music was reproduced with a level of clarity that you would expect from higher-end headphones. 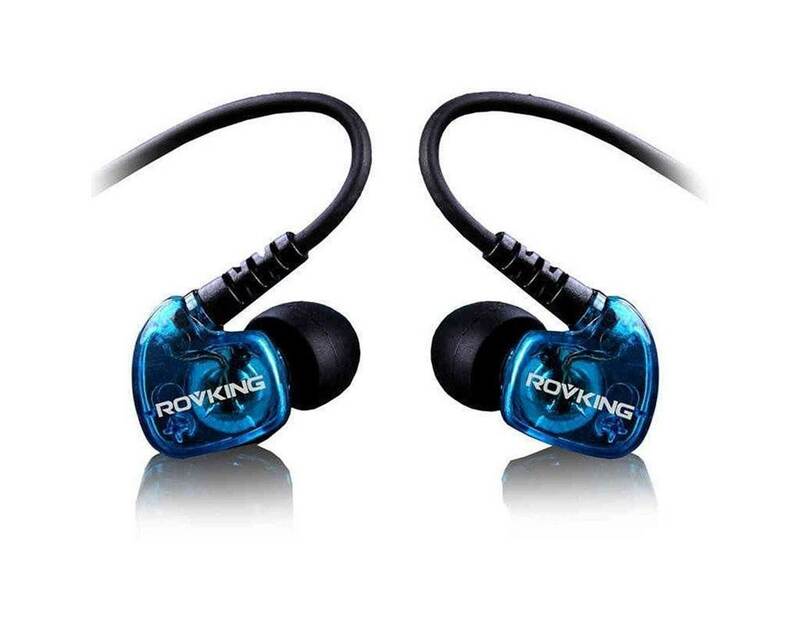 The Rovking in-ear headphones deliver a dynamic balance between the treble, midrange and bass. You can hear the balance between the clear spoken word of podcasts and the lower-end frequency ranges in bass-heavy music genres. The sound quality is balanced and well-defined, and we could hear every single beat in the music even while exercising or working out in the gym. The in-ear headphones produce a lot of volume output without any distortion which is great if you need to crank up the sound output for workouts. The Rovking in-ear headphones have a sporty and superior design for working out – they are durable and lightweight and ergonomically easy to wear. These great performing headphones are completely sweatproof and lightweight making them ideal to take on a run or go to the gym. They feature a soft ear-loop and an angled earpiece, and they securely and ergonomically fit inside the ears while reducing ear fatigue. The built-in mic and controller works like a charm and you can easily take hands free calls during workouts. The Rovking in-ear headphones also has an angled 3.5mm audio jack so it makes it difficult for it be accidentally disconnected when you are deep into your workout. The Rovking earbuds are noted to be designed for smaller to average sized ears – we would recommend picking the correctly sized ear-tips that would provide a good fit in the ears. 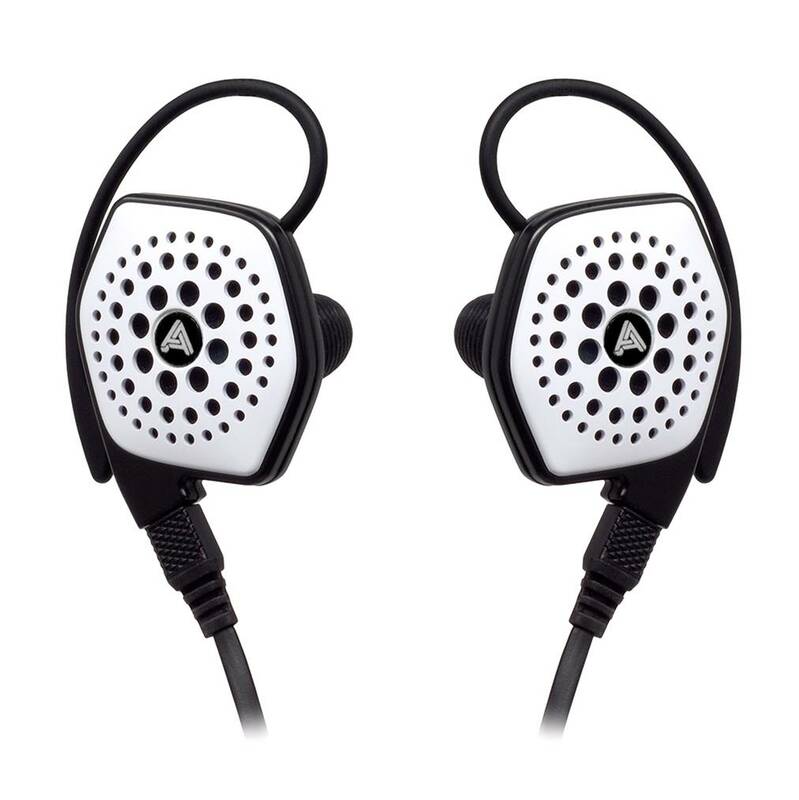 They work great as sports earbuds and stay fully intact during gym and intense outdoor activities. The Verdict? The Rovking earbuds are some of the best high-end earbuds with detailed sound clarity and are designed for intensive workouts. The comfortable in-ear design allows for you to listen to your favourite music or podcasts in the harshest of workouts without fear of them falling out. These in-ear headphones are resistant to sweat and perspiration, while its lightweight design makes it an excellent choice if you are an avid runner looking to avoid bulky headphones. The sound performance provides a range of crisp treble, warm mids and clear bass. This clear sound is emphasized with immersive noise-cancelling technology, so you can block out the world and focus on the music. Listening to podcasts and audiobooks with these in-ear headphones is a very enjoyable experience. It also comes with a built in volume adjustment control and microphone for you to take hands free calls on the go. 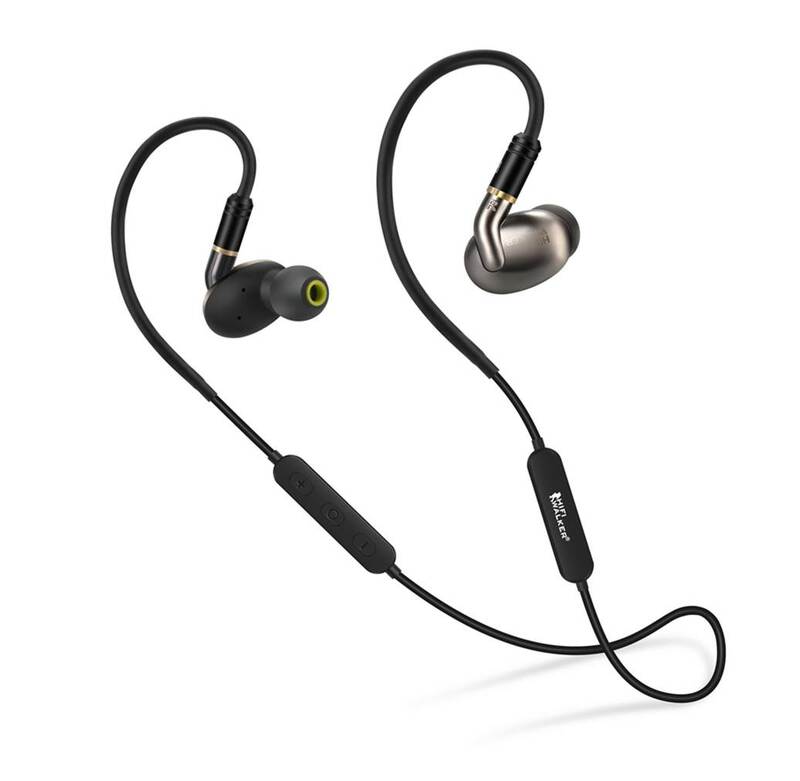 Overall, the Rovking are some of the best high-end earbuds for gym or sports use with crystal clear sound performance and we highly recommend them. The Shure SE112K-BT1s are some of the best high-end earbuds built for audiophiles who want great sound performance. These in ear monitors are built with great sound quality and deep bass which elevates the entire audio listening experience with a portable mobile design. The Shure in ear monitors comes with a sound isolating design with sound isolating sleeves that block up to 37 dB of ambient noise for extended listening without any distractions. The SE112 comes with Bluetooth 4.1 for wireless Bluetooth streaming with most phones, laptops and tablet devices, with up to 8 hours of battery life and 30 feet of wireless Bluetooth range. It also comes with multi-point pairing technology which enables pairing of up to two devices and transitions from multiple media sources in just a click of a button. We liked the fact that you can control your audio at your fingertips with the three-button remote and mic which allows you to make phone calls, activate voice commands and use other voice-activated device features. The Shure SE112Ks are ergonomically optimized for a comfortable fit inside your ears and provides a stable and secure fit. Overall, these are some of the best high-end earbuds we have tested and we highly recommend them. The Verdict? The Shure SE112K-BT are among the best high-end earbuds that provide long-lasting comfort and immersive audio performance. The acoustic drivers on these monitors deliver crisp sound quality with nice timbre ranges and extended lows – they are ergonomically optimized to fit inside your ears for a comfortable listening experience. The sound on these in ear monitors is detailed and clear, and they have a level of openness and spaciousness rarely heard in earphones. 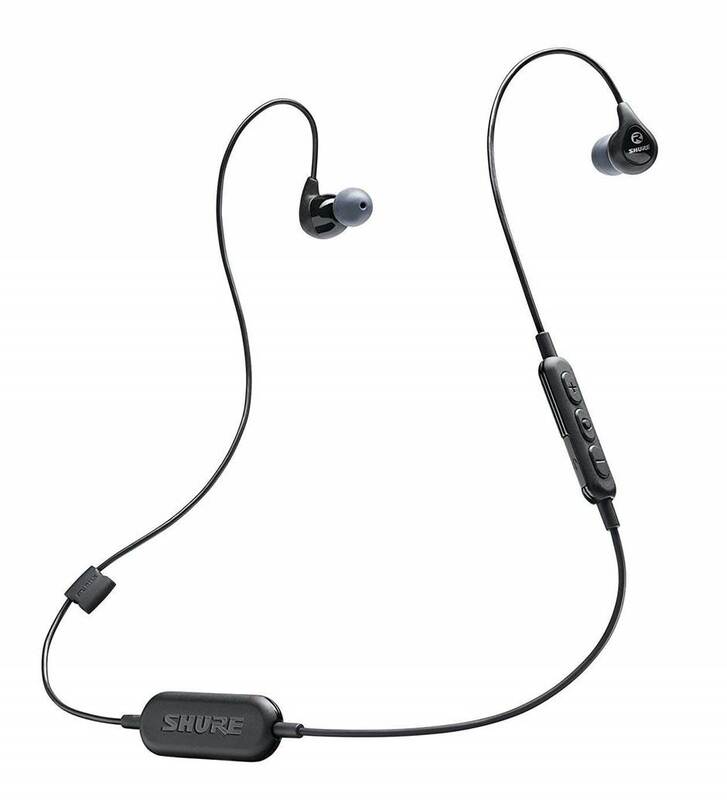 The Shure SE112K-BT comes equipped with Bluetooth 4.1 connectivity and pairs wirelessly to smartphone or tablet devices and has a range of up to 30 feet. The SE112 also has a built-in battery that provides up to 8 hours of continuous music playtime on a single charge; it features an inline remote and microphone that provides great call quality for phone calls and voice commands. The entire package comes with the Shure earphones, charging cable, clothing zip, zippered carrying case and fit kit with three sizes of soft flex sleeves for you to get the best fit. Overall, these are some of the best high-end earbuds that provide great sound and deliver good value for money. The Sennheiser Momentums in-ear earbuds are some of the best high-end earbuds you can find. These earbuds are the perfect marriage between style and sound quality, and are incredibly sleek and well designed. They are capable of producing sound that can rival that of a triple driver armature IEM. These earbuds are custom machined with low resonance stainless steel housing which deliver detailed and accurate sound. It features high quality dynamic transducers which produce high volume output with low distortion and plenty of bass response. 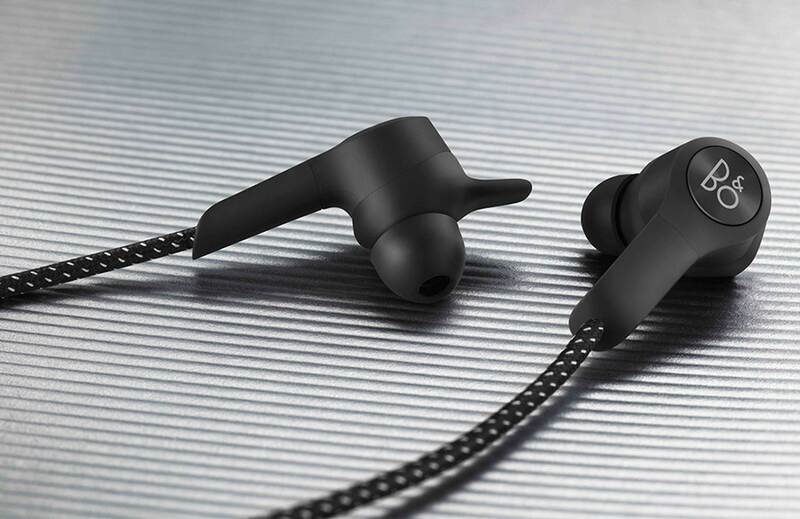 It also has an in-ear canal design which provides good noise isolation and reduces ambient background noise; the earbuds also come with multiple sized ear tips to ensure that you get the perfect fit. Do note that the Sennheiser Momentums come with both android and iOS compatible versions that use tange-free oval cable with a 3-button in-line remote with an integrated microphone for easy hands free calls. These in-ear earbuds have a very fun and warm sound signature, with powerful bass, smooth mid-range and extended highs that boost audio quality. The Sennheiser Momentum is capable of producing very high quality sound and good bass response with its 18-ohm dynamic transducer. The sound quality is simply excellent both through the earbuds and the microphone – listening to music through these earbuds is a very enjoyable experience, with good emphasis at the midrange and low end frequencies. 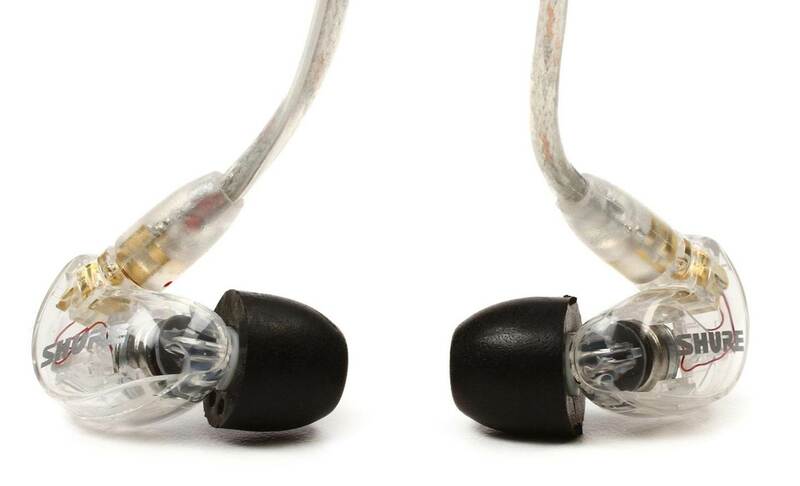 We would go as far as to say that these earbuds perform on par with triple driver armature in-ear monitors. The treble feels well extended and airy, and the bass beats in EDM and rock music felt punchy, deep and crystal clear. The balanced sound is complemented by a multilayer soundstage that feels present but not as good as the Sennheriser IE80s. Listening to classical and vocal music through these earbuds was pure bliss, with crystal clear vocal reproduction that sounded natural and lifelike. These earbuds really do the job of bringing out the details in the music with an added bass response. Our overall assessment of these earbuds is that their sound quality is excellent especially at the mid and lower frequency range. The Sennheiser Momentum in-ear earbuds has a sturdy build quality that looks and feels aesthetically pleasing. We particularly liked the high-gloss finish and the mirror chrome logo detail which made these earbuds look really cool straight out of the box. The polycarbonate and machined stainless steel design looks very durable and solid. These earbuds also come with a 3-button in-line remote with an integrated microphone that is optimized for either iOS devices or Android smartphones. The earbuds come with a 1.3m elliptical cable with an angled 3.5mm audio jack which provides a tangle free listening experience. We also liked the fact that the manufacturer provided us with extra sets of silicone earbuds, together with a carry case to easily store the earbuds on the go. The Sennheiser Momentum earbuds are very comfortable to wear and feel lightweight when worn in the ears. We had no issues wearing these earbuds for prolonged periods of time without feeling any ear fatigue from listening to music. That being said, these earbuds may feel slightly bulky due to their size and may not be best suited for those who intend to use these earbuds for sports activities such as jogging or running as these may fall off. These earbuds work best for sedentary listening or for travel. The microphone and hands free call phone functions work great and are convenient to use especially if you driving on the road. The Verdict? The Sennheiser Momentum are some of the best high-end earbuds with a sleek modern design and very detailed sound performance that focuses on the midrange and low-end frequencies. It is one of the few earbuds that truly combines stylistic design with high quality audio – you get very crisp highs, good midrange and very punchy bass from these earbuds. The high-gloss finish and mirror chrome logo looks extremely sleek and the earbuds feel very comfortable to wear; the entire package also comes with multiple earbuds of different sizes to choose from. They provide the sound quality of a triple driver armature IEM without going too steep on the price range, and produce a very good level of bass that does not feel overwhelming or muddy into the midrange. Overall, the Sennheiser Momentums are some of the best high-end earbuds you can find that excel at the mid and lower frequency ranges, and come in a classy design that you will definitely enjoy. Do note that they come in separate versions for iOS and Android smartphones, so be sure to choose the right version for your smartphone. The SIMGOT EN700 is one of the best high-end earbuds we have tested that can deliver high-end audio performance with noise cancelling functionality. These earbuds come with a 10mm dynamic driver that provides clear, natural and well-balanced sound reproduction. In addition, the 10mm drivers deliver robust low-end bass with crystal clear highs, with all the details and nuance that musicians and professionals need to hear in the music. In short, these earbuds are designed and custom-built to meet the demands of audiophiles and demanding music listeners. 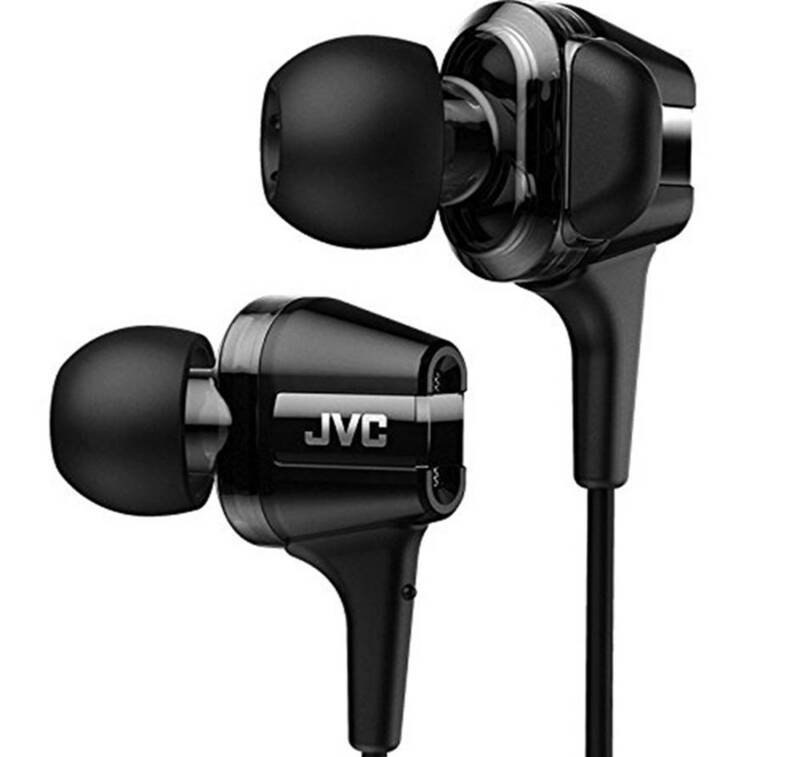 The JVC HA-FXT100 are some of the best high-end earbuds that come with hi-speed twin system unit drivers that provide high quality sound. These earbuds are built with a twin bass port structure that delivers massive bass sound output and volume levels. Furthermore, the FXT100 has an extremely wide frequency response between 7 Hz to 26 kHz with a sound pressure level of 104 dB / 1mW. These earbuds have an impedance of 12 ohms and a 5.8mm driver. 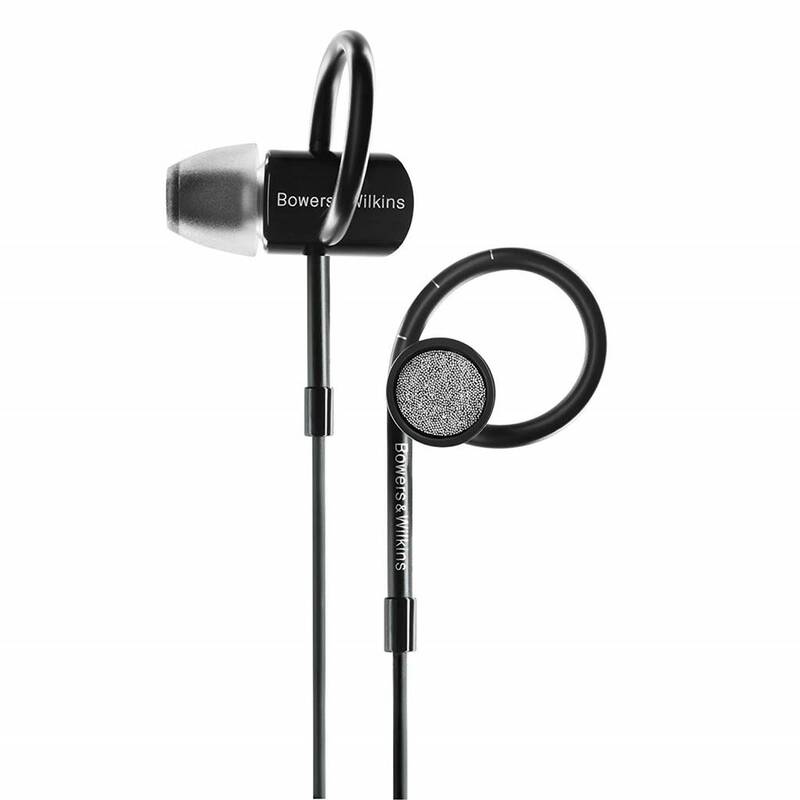 The Bowers & Wilkins C5 are one of the best high-end earbuds we have tested that provides great value for money. The C5 Series 2 earbuds feature redesigned drive units for enhanced sound quality and a new cable for better comfort and performance. The C5s provide realistic sound performance with crystal clear clarity at any volume level, and have virtually zero distortion and coloration in the sound. The in-ear design provides a good degree of noise isolation which helps to block outside noises from interfering with your listening experience. The HiFi Walker A7 are one of the best high-end earbuds that provide excellent acoustic sound performance with a triple driver. 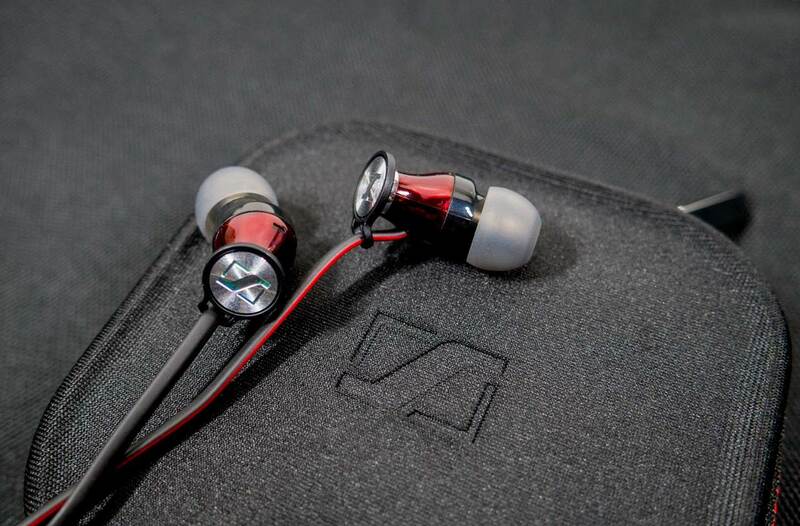 The A7 comes with a titanium plated dynamic driver that combines 2 balanced armature drivers that produces an extensive soundstage with great tonal accuracy and good bass impact. The A7 wireless monitors come with up to 6 hours of battery life and have a secure-fit behind-the ear design to maximize comfort and stability. It also comes with in-line controls which allow for easy adjustment of the sound and volume. 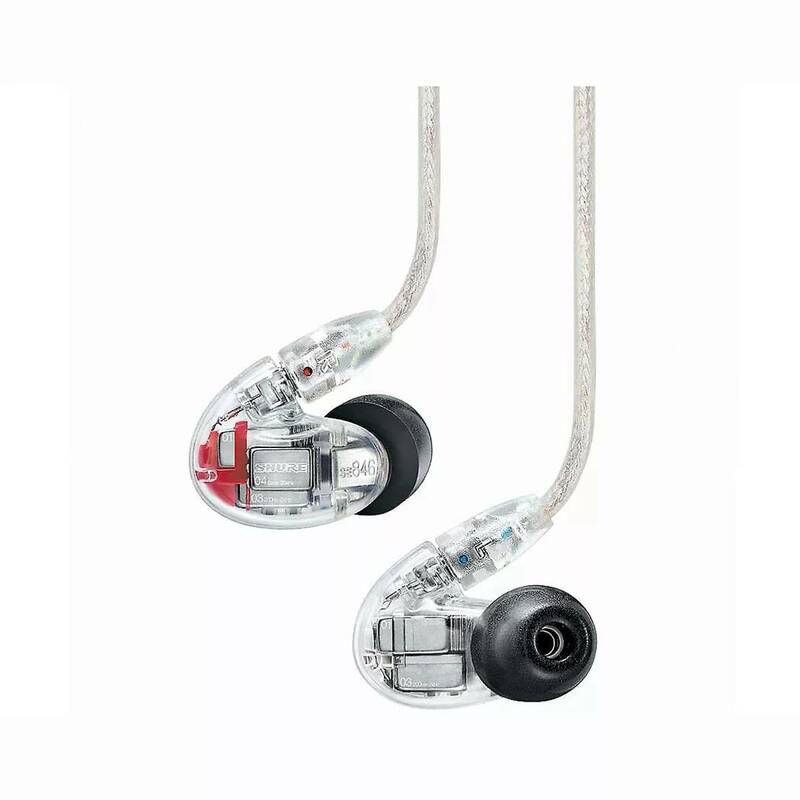 The A7 in ear monitors come with intelligent remote cables and microphone with high purity anaerobic cooper cores which provides high quality sound transmission while playing music, adjusting volume and answering calls. It also responds to active voice commands which is very convenient. The HiFi Walker A7 provides an optimal ergonomic fit that combines a sleek style with nickel plating for all-day wear – it comes with a variety of ear-tip options which provide individualized fit for noise isolation. The A7 uses Bluetooth 4.2 for high quality wireless music streaming and is built to last for a long time. It’s one of the best high-end earbuds that looks very sleek and modern and has superb sound performance. The Verdict? The HiFi Walker A7 is one of the best high-end earbuds that provides a neutral and analytical sound signature for audiophiles. It comes with a triple driver which is titanium plated and combines 2 balanced armature drivers for better soundstage and accuracy. The sound quality from the A7 is top-notc, with crystal clear highs, midranges and clean bass. These in ear monitors are not built for bass heads and focus on providing a more balanced and nuanced sound signature. We liked the fact that the A7 uses Bluetooth 4.2 for high quality music streaming and has a lightweight design that makes it comfortable to wear for long periods of time. The Walker A7 also comes with 4-wire braided cables that provides smooth sound transmission and minimizes signal loss. It also comes with an intelligent remote cable with microphone that allows you to conveniently play music, adjust volume and answer calls on the go. Overall, the HiFi Walker A7 are some of the best high-end earbuds with crystal clear sound and are definitely worth considering if you like it’s sleek and unique driver design.